G.O has made the end of 2017 sweet and playful, and the beginning of 2018 serene and beautiful with his Instagram updates on both New Year’s Eve and New Year’s Day. He further took some time to chat with fans dispelling a little bit more information regarding his upcoming fan meeting. Too much goodness packed in two days. So how about we just enjoy our gorgeous god of communication’s new year’s offerings one more time for this 685th day of his service. Categories: G.O Military Discharge, MBLAQ Musings, The G.O Files | Tags: 2018, G.O images, G.O Instagram, G.Ostagram, Happy New Year, 정병희, 지오, Jung Byung Hee, Jung Byung Hee images, MBLAQ G.O, MBLAQ G.O images, MBLAQ G.O Instagram, PlayerUnknown's Battleground, The Chambers Candy Company | Permalink. Yesterday, in the early evening hours on the eve of Christmas Eve, G.O sent us a smile in way of a most friendly face. Yes, while out and about, he snapped a picture of a backseat passenger in a car that, for all intents and purposes, gave him a warm smile that he then passed on to us. 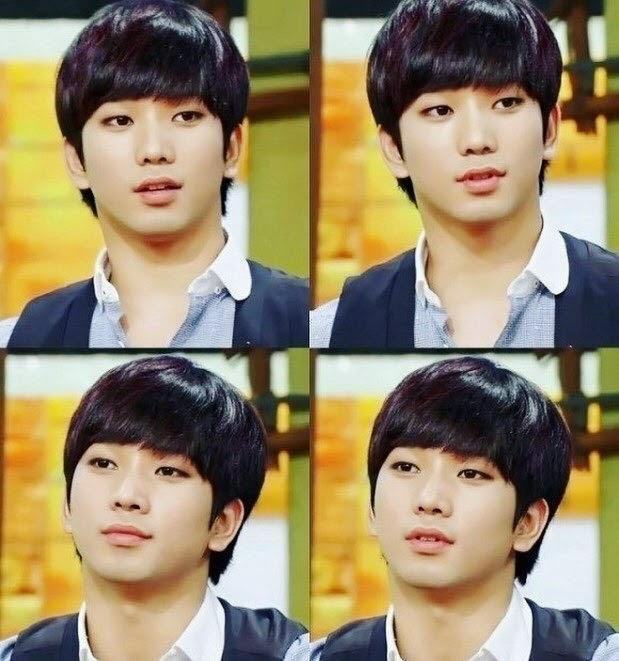 Categories: G.O Military Discharge, MBLAQ Musings, The G.O Files | Tags: G.O images, G.O Instagram, G.O Survival Report, G.Ostagram, 정병희, 지오, Jung Byung Hee, Jung Byung Hee images, MBLAQ G.O, MBLAQ G.O images, MBLAQ G.O Instagram, MBLAQ G.O Survival Report | Permalink. G.O continues to spoil us with his Instagram updates which have been consistently coming since February of this year. Yes, G.O has updated every month since February and often times has shared multiple updates. Such was the case Sunday, the 10th of December. Categories: G.O Military Discharge, MBLAQ Musings, The G.O Files | Tags: G.O images, G.O Instagram, G.Ostagram, 타이키즈, 장군, 정병희, 지오, Jang Goon, Jung Byung Hee, Jung Byung Hee images, MBLAQ G.O, MBLAQ G.O images, MBLAQ G.O Instagram, TyKeys | Permalink. Isn’t it wonderful when G.O updates two days in a row? It creates a sense of satisfaction for his fans because his diligence in keeping in contact has been (and remains) consistent. Conversely, it makes us hunger for even more, don’t you think? But, fear not G.Oddesses, I have a feeling more is coming. A lot more as a matter of fact. In the meantime, let’s take a stroll with him down memory lane back to early 2010 with his update on the afternoon of Saturday 2 December. Categories: G.O Military Discharge, MBLAQ Musings, The G.O Files | Tags: Countdown To Discharge, G.O, G.O images, G.O Instagram, G.O Update, G.O's Military Service, G.O's Retro Soul, 정병희, 지오, Jung Byung Hee, Jung Byung Hee images, MBLAQ G.O, MBLAQ G.O images, MBLAQ G.O Instagram, MBLAQ G.O Update | Permalink.